We plan it. Perdict it. Prepare prosthesis in advance. Then exicute it all perfectly-with the revonutionaly NobelGuide.The concept transforms extraoral planning into clinical reality. Easy accurate and fast. A custom designed surgical template is created, based on our exact planning.We know the final position of the implants before we start. This allows the laboratory to make the prosthetic solution beforehand, so it can be delivered to the patient during the acctual surgery. The multi-faceted nobelGuide concept adapts to any level of practice.We can still work with conventional model-based planning. Or we can plan digitally, using the NobelGuide software powered by Procera , which gives a perfect view of patient's anatomy. For us, the revolutionary NobelGuide means unrivalled perdictability. For the patients, it truly means Beautiful Teeth Now. 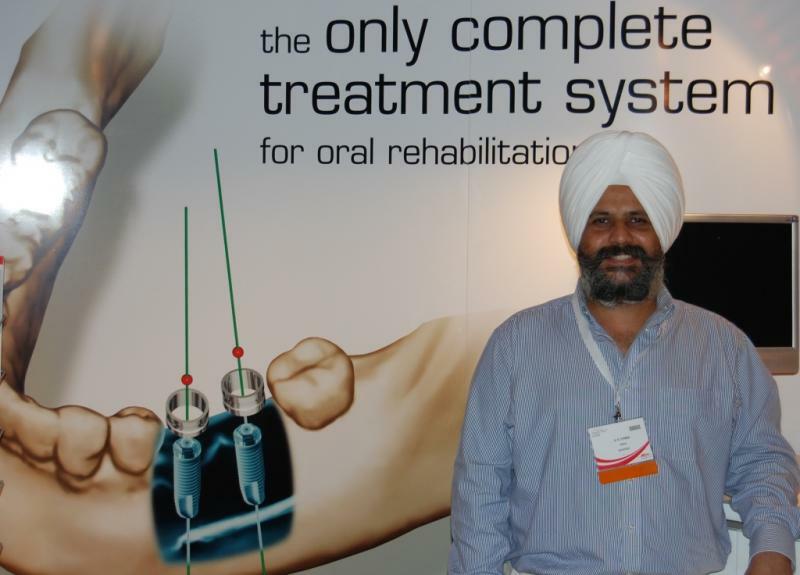 NobelGuide™ is a revolutionary treatment planning and surgical implementation system enabling Dr Cheema to transfer extraoral planning into the mouth with unrivaled accuracy and ease. 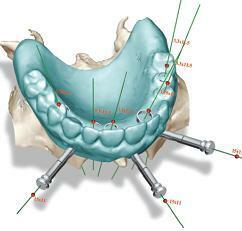 With NobelGuide™ the placing of the implant, abutment and restorative crown or bridge is simultaneous. 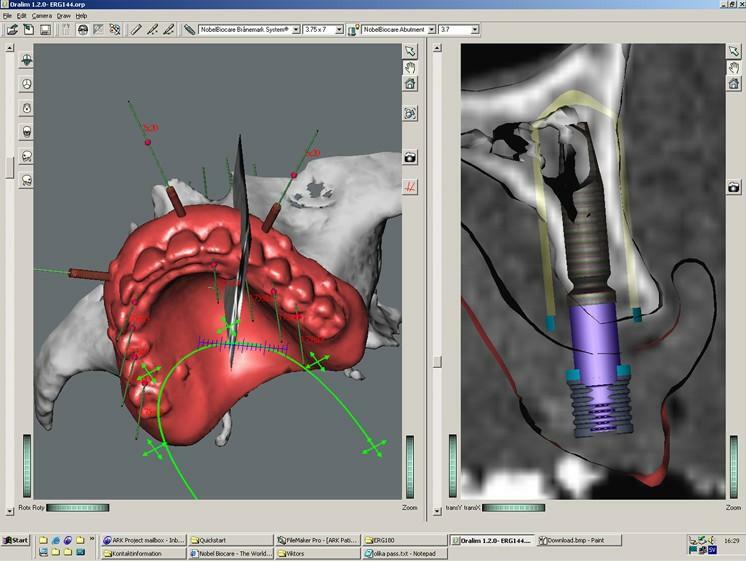 It is applicable to any patient indication, by using either conventional modeling or computer aided-3D design – NobelGuide™ shows you the exact position and depth of the implants before surgery. This information enables Nobel Biocare to produce a surgical template which guides the flapless procedure from start to a completely successful placement. In practice, this means beautiful teeth for our patients in just one visit. Who wouldn't love the idea of having beautiful, great working teeth – by only attending a few appointments and a minimally invasive procedure that gets you back in social and working life in no time? With NOBELGUIDE™ We can make all these promises to our patients. 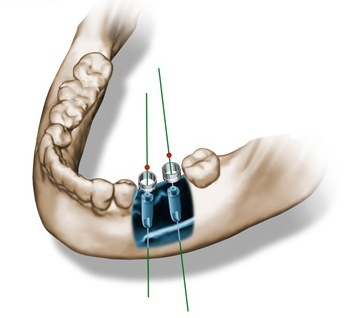 Fast TreatmentCombination of Immediate Function™ and a pre-made, temporary or final, prosthetic solution ready at time of surgery radically shortens treatment time. Applying a final prosthetic solution means real "Teeth-in-an-Hour".